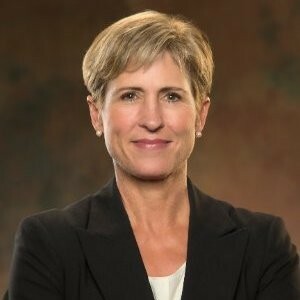 MARGARET DOLAN CPA MBA of Nashville has been named to succeed Charlie Brock as CEO of Tennessee Technology Development Corporation (TTDC), which operates as Launch Tennessee. The first woman to be recruited for the CEO post, Dolan bested nearly 900 applicants for the leadership role. She takes up her duties Oct. 29. Earlier coverage of Charlie Brock here. [Updated] Dolan said in a formal release, "I am thrilled to take over leadership of Launch Tennessee at a time when more people recognize the value of entrepreneurship to the growth and success of our state. I look forward to deepening my relationships with our statewide network of public and private partners as we collectively work to advance our mission of helping startups launch and thrive in Tennessee." Bob Rolfe, who is Gov. Bill Haslam's commissioner of economic and community development and chairman of the board of LaunchTN, said in the release, in part, "Launch Tennessee is an important partner driving innovation-based economic development in our state," said Bob Rolfe, Commissioner of the Tennessee Department of Economic and Community Development. Although she was not CEO -- serving rather as interim chief executive -- Leslie Wisner-Lynch also led the nonprofit during its transition from the Bredesen to the Haslam Administration. More on Wisner-Lynch's LaunchTN tenure here. In other business during the LaunchTN board meeeting this morning at ECD headquarters, long-time board member Bruce Doeg of Baker Donelson was affirmed as vice chairman of the board. The search effort was spearheaded by Emeritus Board Member Tom Ballard of Knoxville-based PYA. Related coverage here. Dolan has recently consulted to businesses as neil Strategies, and is a former CEO of LocalShares and of St. Thomas Health Foundations; and, she spent more than 20 years as a VP-Community Relations and tax manager of Ingram Industries. She and her family reside in Davidson County. Her LinkedIn is here. This story will be updated, as warranted.